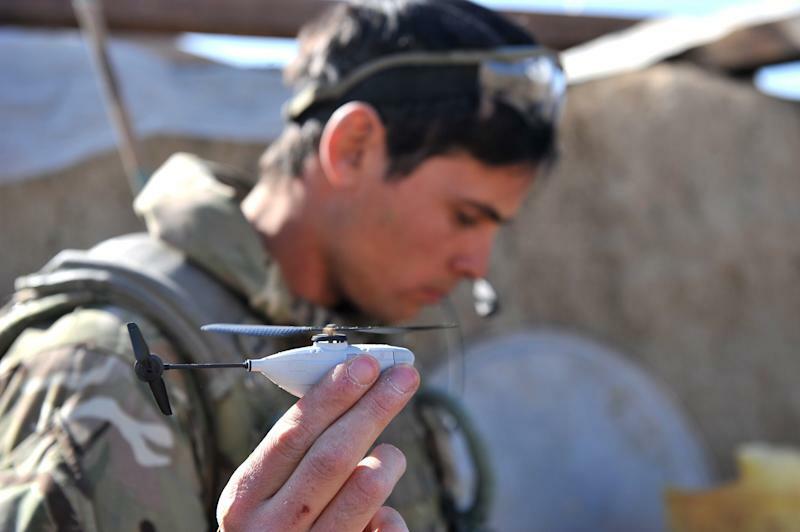 LONDON (AP) — British soldiers in Afghanistan have been issued with surveillance drones so small they can fit in the palm of a man's hand. The Scandinavian-designed Black Hornet Nano weighs as little as 16 grams (roughly half an ounce) — the same as a finch. 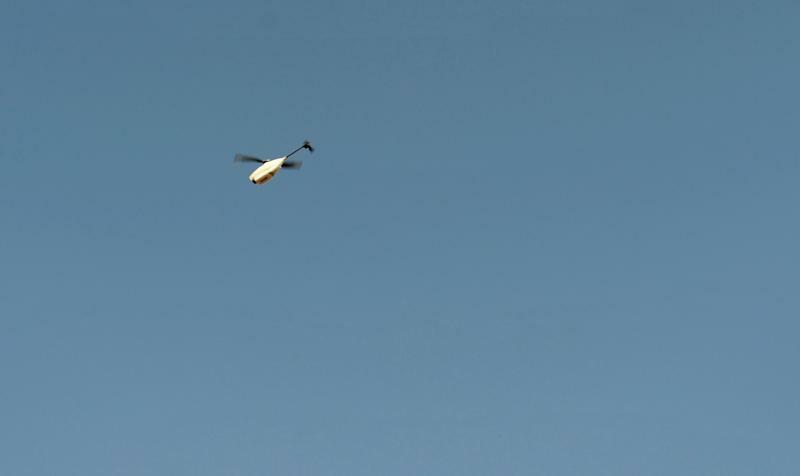 The 4-inch (10-centimeter) -long helicopter is fitted with a tiny camera which relays still images and video to a remote terminal. "We used it to look for insurgent firing points and check out exposed areas of the ground before crossing, which is a real asset," said Sgt. 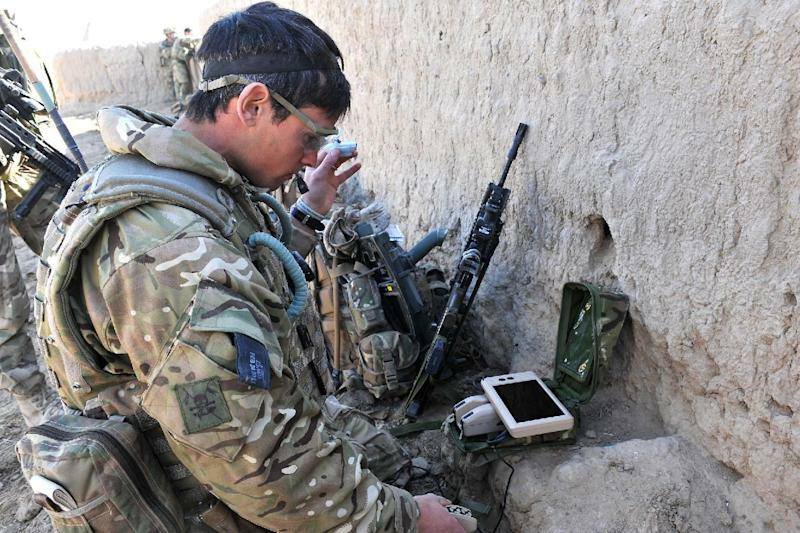 Christopher Petherbridge, with Britain's Brigade Reconnaissance Force. In a statement, he called the Hornet easy to operate and said it offered "amazing capability to the guys on the ground." The military said Sunday that the toy-like Hornet is capable of flying even in windy conditions. It said the Hornet was developed by Norway's Prox Dynamics AS as part of a 20 million-pound ($31 million) contract for 160 units with southern England's Marlborough Communications Ltd.
Drones of all shapes and sizes have rapidly become a mainstay of U.S., British and other nations' military operations around the world. Late last year the U.K. said it was doubling the size of its armed drone fleet in Afghanistan to 10 with the purchase of a new batch of Reapers.